The Orthodox Church today must present to people living in all corners of the earth, its inner wealth, the revelatory truth it possesses and to answer all the ideological, religious, and even humanistic challenges of the people of our age. I believe that the Ecumenical Patriarchate, with its entire ecclesiastical structure, the Bishops in local churches, the parishes, the monasteries, the missionaries, does a wonderful job and meets the concerns of the people. 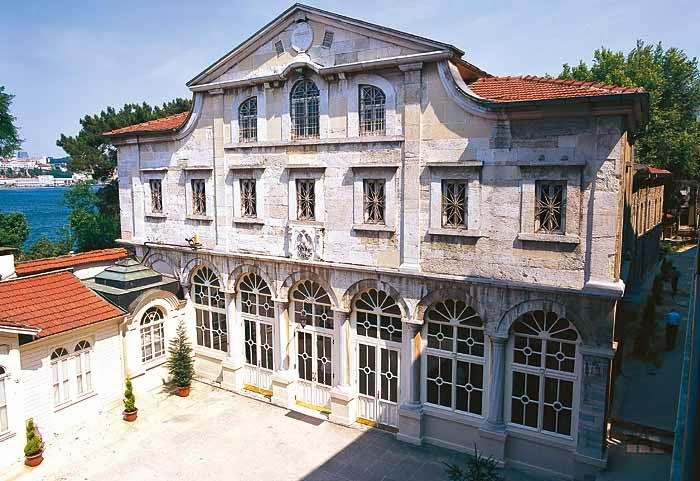 For this reason we should not view the Ecumenical Patriarchate only as an administrative center, located in Constantinople (Istanbul), but to see it in its entire ecclesiastical, liturgical, and confessional presence in the modern world. I may even argue that the Center of the Patriarchate strengthens, and covers with its prestige the promotion of the testimony of faith. Source: From the book Οἰκουμενικὸ Πατριαρχεῖο καὶ Ἐκκλησία τῆς Ἑλλάδος [The Ecumenical Patriarchate and the Church of Greece]. Translated by John Sanidopoulos. The issue of seniority and the position of the Archbishop of New Rome-Constantinople and Ecumenical Patriarch in the administrative system of the Orthodox Churches has been resolved by the Ecumenical Synods, first by the Second Ecumenical Synod which attributes to the Bishop of Constantinople "the seniority of honor after the Bishop of Rome, because she [Constantinople] is the New Rome", and after by the Fourth Ecumenical Synod and the Quinisext Synod which attribute to the two thrones "equal seniority". The Quinisext Synod also organizes the order of the rest of the then Patriarchates, namely Alexandria, Antioch and Jerusalem. We must comply with the decisions of the Ecumenical Synods, to support the unity of the Church. The Ecumenical Patriarch during the first millenium had "equal seniority of honor" with the Pope of Rome, but when eucharistic communion with the Pope was cut off by the Church, then the Ecumenical Patriarch had by himself the seniority of honor and presides in Pan-Orthodox Synaxises and Synods and as president he has increased canonical responsibilities. In other words, seniority is not simply an external honor, but a title of nobility, nor is it an "eastern popedom", but it is a ministry, an initiative, a coordination, a presidency, a center of the testimony, ecumenicity and preservation of the synodicity of the Church, and a sponsor of autocephaly subject to approval by an Ecumenical or Great Synod, as it was with previous Patriarchates. The remaining Primates follow "after" the Ecumenical Patriarch. The conflict observed in recent times is sad and brings grief to every Cleric, theologian and Orthodox Christian, for the following reasons: 1) Because it contests and undermines in essence the decisions of the Fathers of the Ecumenical Synods. 2) Because the conflict derives from nationalist and political expediency. 3) Because canonical issues are given high priority and doctrinal issues are ignored. 4) Because it jeopardizes the unity of the Church. 5) Because this conflict is less than the quest and spiritual state of Orthodox Christians in all countries that respect in practice the Ecumenical Patriarchate, the Mother Church. Therefore, other issues could occupy the Orthodox Church at this time. Source: Ekklesiastiki Paremvasi, "Πρεσβεῖα τιμῆς τοῦ Οἰκουμενικοῦ Πατριάρχη", January 2014. Translated by John Sanidopoulos.